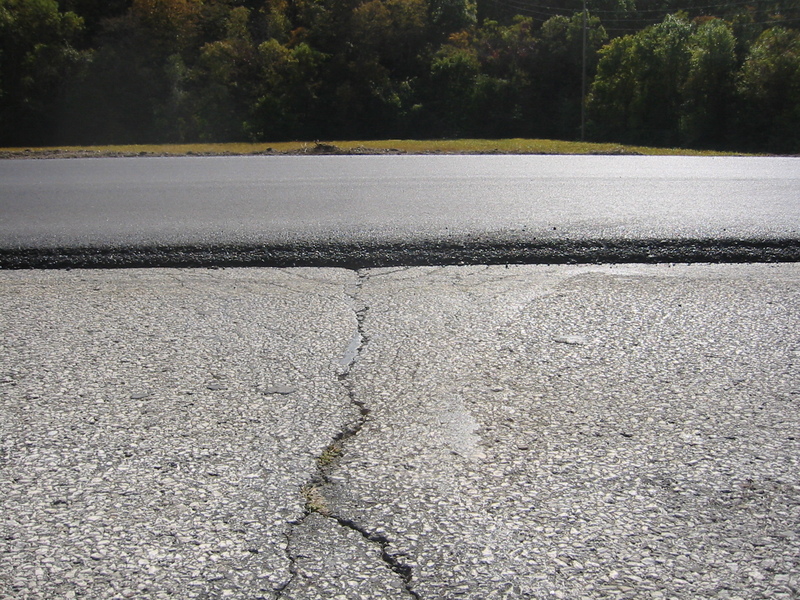 Uncategorized What is Bonded Asphaltic Concrete Pavement? Created by Road Science™, bonded pavement technology – BondTekk®, is a Bonded Asphaltic Concrete Pavement that has been around since the mid to late 1990’s. It has become increasingly popular in recent years with the decreases in DOT and Municipality funding for roadway construction and maintenance. Bonded Asphaltic Concrete Pavement is a way for agencies to receive hot mix asphalt with a superior bond strength which directly impacts a pavements performance over its lifetime. 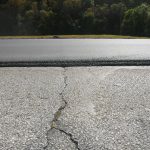 This technology provides a lower life cycle cost over several surface types (hot mix asphalt, concrete pavement, chip sealed surfaced, and milled surfaces) while still addressing issues such as rutting, delamination, fatigue and cracking. Bonded Asphaltic Concrete Pavement has many advantages over traditional methods of asphalt paving. It consists of placing a Polymer Modified Emulsion Membrane (PMEM) prior to a bituminous overlay of hot asphaltic concrete pavement. The installation method for is with a specialized paving machine called a spray paver. This unique machine acts as a tack truck and paving machine all in one. Spray paving machine is a paver and tack truck in one! This Polymer Modified Emulsion Membrane (PMEM) is spray applied immediately prior to the application of the hot asphaltic concrete pavement. The spray paver will accurately and continuously monitor the rate of spray and provide a uniform application across the entire width to be overlaid. No wheel, track, or other part of the paving machine comes in contact with the Polymer Modified Emulsion Membrane. Also, no tire or other part of the hauling equipment comes in contact with the PMEM before placement of the asphaltic concrete by the spray paving machine. PMEM applied by the paving machine approximately 18″ in front of the hot mix asphalt. Use of the spray paver to apply the PMEM, creates a uniform, undisturbed and uncontaminated application of tack coat. The tack is applied at a higher designed application rate than conventional tack coat for enhanced performance of the overall pavement. Adjusting the application rate based on the existing surface and mix type is essential to improving pavement performance. The true test ultimately is how the pavement performs overtime. Bonded Asphaltic Concrete Pavements have proven its durability and cost savings to owners nationwide. As word spreads so do we. We are now installing Bonded Asphaltic Concrete Pavement with Polymer Modified Emulsion Membrane throughout the Midwest including Indiana, Oklahoma, Illinois, Arkansas, Iowa, Kansas, Michigan, Tennessee, & Kentucky. For more information please contact us.